What is up with this weather? Seriously.. I’ve been making comfort food all week.. It hasn’t gotten to 70̊ yet this week, it’s been cloudy and rainy and just all around crappy almost October-ish weather.. And it’s Mid June. The Kid had his last day of school on Monday and well.. It sure as hell doesn’t feel like summer vacation, which is a total bummer. To brighten up this post.. here, lets have some chocolate milk.. Put away your bottle of Hershey's syrup or your nesquick and Please don't tell me you've got a store brand there.. Oh, please throw that crap away, it tastes like poison! 1. In heavy-bottomed 2 quart pot, combine sugar, cocoa powder, and salt. Whisk to combine. Gradually stir in the water. Stir until well combined. 2. Set over medium heat; stirring constantly until mixture comes to a boil Boil three minutes, stirring frequently with whisk and reducing heat if syrup threatens to boil over. Remove from heat; pour into heatproof 4 cup measure or pitcher. Cool briefly. 3. Cool on counter (uncovered) until room temperature, strain through fine strainer into container of 2-1/2 cup capacity. Stir in vanilla. So I've finally decided on a prize for the Bloggerversary contest. 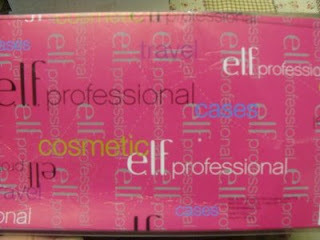 I've got an Elf Cosmetics Train case Jam packed with goodies. Goodies include but aren't limited to: Sunblock, bath and body samples, candle tarts and A MYSTERY $25 GC!. I"ll be adding to the case as the contest goes along. Contest Ends July 10th. I will post a winner using Random.org. on July 11th. After watching Food Detectives on Food Network the other night (I’m loving Ted Allen, he’s my favorite food geek next to Alton Brown) I realized that I really need to step up and drink more water (I already knew this) problem is I really just don’t like water. I tend to go through an entire day with just a cup of coffee and then I’ll have a glass of Green iced tea and a few glasses of milk at the end of the day, with dinner and just when I'm generally thirsty.. But you’ll rarely see me drinking just plain water, eww. I’ve tried, lemon in the water, and as much as I like lemon.. That doesn’t cut it. I’ve tried making the water as cold as possible.. Nope, that only works if I’m steaming hot and dying of thirst.. But.. I think I might have found a breakthrough. While at CVS yesterday I saw these new (okay, maybe they’re NOT new, but they’re new to me) Wylers Light singles to go, so I picked up a box of orange and cool Raspberry. The orange tastes just like Tang (which I haven’t had in a long time) The raspberry one tastes like Jell-O, it’s good. Now, if I can just remember to keep this stuff in my bag and a water bottle at my desk and I’ll be good. Now, if I’m not in the bathroom all day from drinking all this water I’ll be good.. And maybe I can lose these last damn 10 pounds that are making me absolutely crazy. I walk a good 5 miles a day, and I walk fast, been doing this since September when school started, by now you’d think I’d be thin as a rail.. But I’m attributing my insufficient intake of fluids on this one.. So lets see.. Now.. I don’t own a scale (honestly, I haven’t weighed myself in Months) I have a theory that as long as all my clothes fit, I’m good, when they start to get snug, I change my eating habits, work out a little more. The last time I lost a significant amount of weight was when I Started working here and we had 2 offices, this one on the 4th floor and another on the 5th, then (after 15 years of it being like that) they expanded this office and brought the 5th floor staff down here. I did the stairs every day, at least 5 times a day I was running up and down carrying files. I started working here as a file clerk.. Now I’m receptionist/tech support/accounts receivable and general Legal assistant.. Yet, I’m still only making $3 more an hour than I was before.. But that’s a rant for another day, lol. Alright, so stick with me here.. I’m gonna keep up on twitter with how much water I’m drinking and if you happen to follow me @ChefAshbabe on twitter and you notice that I’m not drinking anything give me a nudge.. I’m gonna be having a birthday in 2 ½ weeks so I’m gonna try.. Really, really hard to drop a few pounds so I can wear that cute little dress I just bought for my birthday. My first bloggerversary cake was actually supposed to be Brownies.. But Damn this recipe was one big fat lie! They were *good* they/it was nothing like what I expected though. 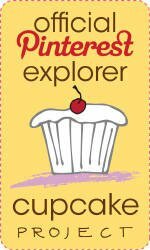 I've made cola cupcakes a hundred times over the years and I've been craving some cherry coke brownies, with chunks of cherries in them and all, so when I found this recipe I was hoping this was exactly what I was looking for.. turns out, it wasn't. it wasn't dense and fudgy, but light and airy and not nearly chocolaty enough. Sift together flour and sugar. Heat butter, cocoa and Coca Cola to boiling point; pour over sugar mixture. Mix butter milk, eggs, baking soda, marshmallows and vanilla and add to mixture. Mix well. Batter will be thin. Pour into a greased and floured 13x9-inch pan and bake 30 minutes. If you're interested in the original recipe you can find it here. I wasn't impressed.. but I still have 4 weeks to get it right. June is MY birthday month and the First Anniversary of my blog! Time flies, that’s for sure! I'm getting things set up for my First Bloggerversary contest.. Give me another few days and all the details will be up and we'll be getting this Party underway!